Of all the possible months to take a European river cruise, late November through until the Holidays remains our favorite time to take trip down the famed Blue Danube. Although fall comes with cooler temperatures and the possibility of rain and or snow falling, these “off-season” river cruise departures also have some major advantages going for them, including fewer crowds, more affordable pricing, and Europe’s famous Christmas Markets. 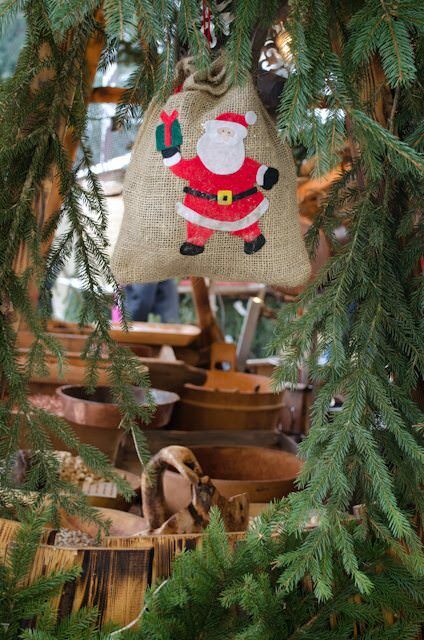 Typically in operation between November 25 and December 24 of each year, these festive, open-air markets are a tradition dating back hundreds of years in countries like France, Germany, Austria, Slovakia, and Hungary – among others. Filled with festive crafts, traditionally-baked goods and more food and beverage options than you could ever possibly enjoy, Europe’s Christmas Markets are a trip back in time to a simpler way of life, where socializing in a square over a piping hot cup of gluhwein – spiced, mulled wine – fills in for time spent battling for parking at the local shopping mall. Nowhere are these markets more on-display than the Danube. 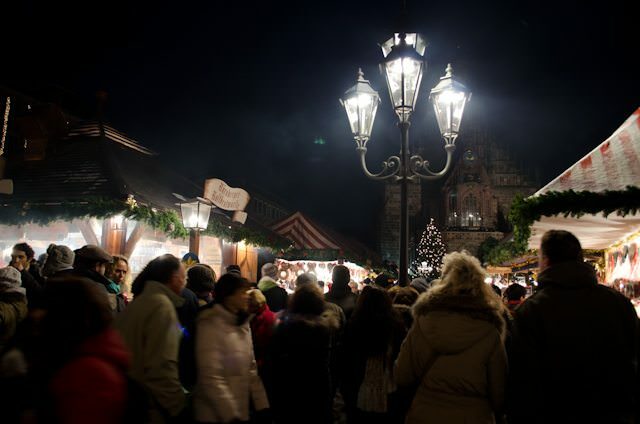 While Christmas Markets river cruises are also quite popular on the Rhine River, the Danube Christmas Markets river cruises offer an incredible mix of small-town charm and big-city bustle during the Holiday season. Vienna alone offers nearly a dozen different Christmas Markets throughout the Ringstrasse and beyond; while smaller towns like Regensburg and Passau offer cozy markets with plenty of small town charm. 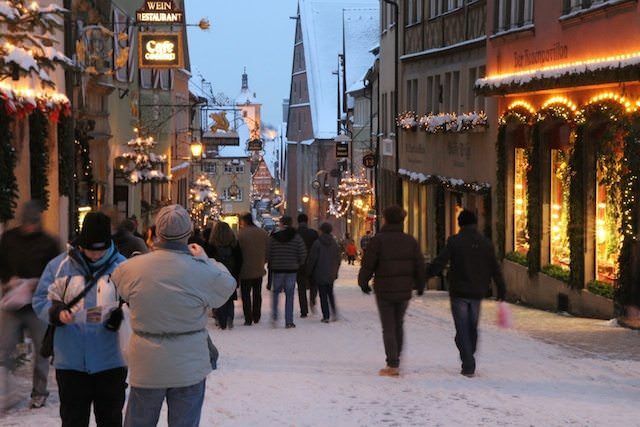 The granddaddy of them all, however, is in Nuremberg, Germany – reportedly one of the first, oldest and largest Christmas Markets throughout Europe. Held in the main Hauptmarkt square, meticulously reconstructed after the town’s devastation during World War II – this is Europe at its most festive and charming. As the table below illustrates, these Christmas Markets river cruises are also some of the most affordable, particularly when compared to summertime voyages on the Danube. That value runs throughout all of your travel costs: hotels can be had for a fraction of their summer rates, and airfare can drop considerably in price, particularly in late November and early December, before the onslaught of the Christmas travel rush that occurs later in December in the run-up to the Holidays. Although these December 2018 voyages are a long way off at this point, Christmas Markets river cruises have only grown in popularity over the intervening years. Five or six years ago, it was possible to book one of these sailings relatively late in the year. Nowadays, despite the increased number of ships on the Danube, the prime cabins (mainly, the value-leading “riverview” staterooms and higher-end balcony staterooms and suites) tend to book up well in advance. Comparing Christmas Markets river cruises on the Danube during the first two weeks of December, 2018. I looked for staterooms of equivalent size and features, namely those with French balconies or step-out balconies. Prices were obtained from cruise company websites and may not reflect current incentives. Additional charges were estimated in some cases, such as for laundry and beverages, and obtained from the cruise company websites. * Emerald Waterways and Viking River Cruises include at least one shore excursion in each port of call, with optional excursions for a fee. ** To calculate the value of included roundtrip economy air, I used Viking's $1,595 per person published rate from select gateways in North America. *** Crystal River Cruises includes complimentary self-service laundry machines on all its river ships; pay-per-use service is can be arranged through suite butlers. CroisiEurope and Tauck's 2018 Danube Christmas Markets voyages were unavailable to book online at the time this table was created. 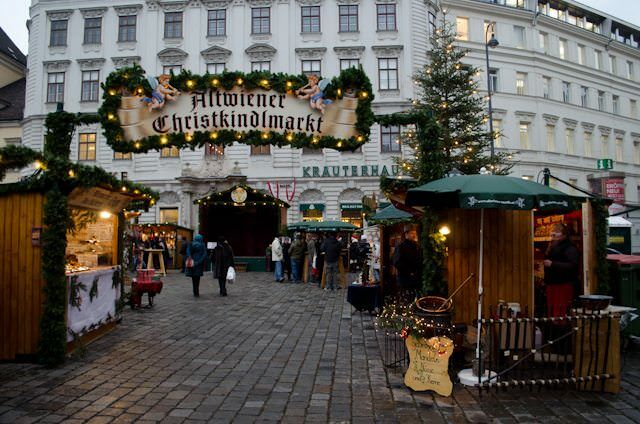 Do you prefer Viking or Crystal for a Christmas Market cruise on the Danube? Is there a cruise you would recommend like that includes both Vienna and Nuremberg before Christmas in 2019. Thank you! Love the Christmas Markets and would go again, but two things I observed that you don’t mention. The days are short, it gets dark around 3:30, especially if it is raining, which it often does. Also, the Christmas Markets in the Catholic areas traditionally begin on the First Sunday of Advent, the four weeks before Christmas, this does not always fall on the same day. Finally, the Christmas Markets are mainly for the people who live in the area, not for the tourists, and so although there are many handcrafted items, in the biggest markets, much of the ornaments come from China and elsewhere, and are, of course cheaper. The one exception I found was in Budapest where all the products sold had to be certified as being made in Hungary. Still, the decorations are great and worth seeing in themselves.